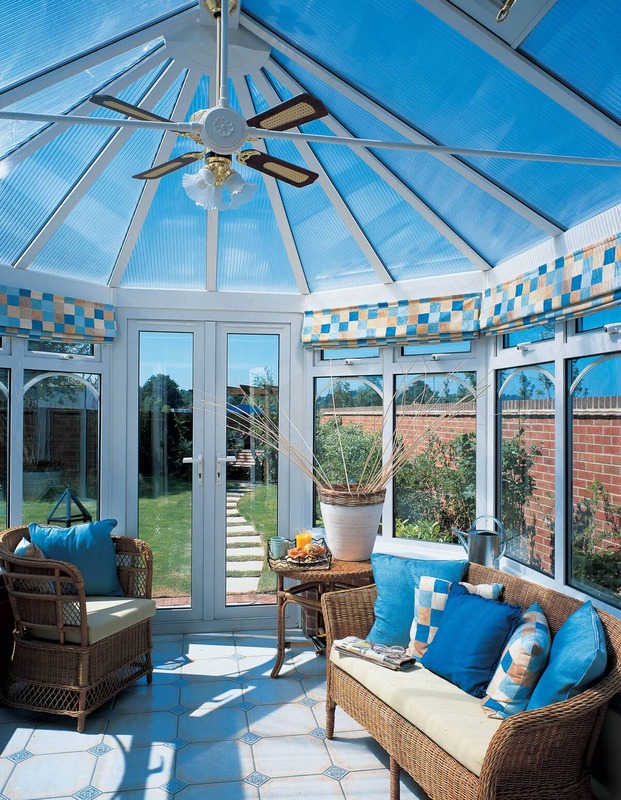 Our conservatories in Basingstoke are a beautiful addition to any home. We specialise in home improvements and can help you to make the most of the space you have. We offer designs that are crafted from quality double glazing and are designed and installed by experts. You can rely on us for quality and long-term performance from your new conservatory in Basingstoke. 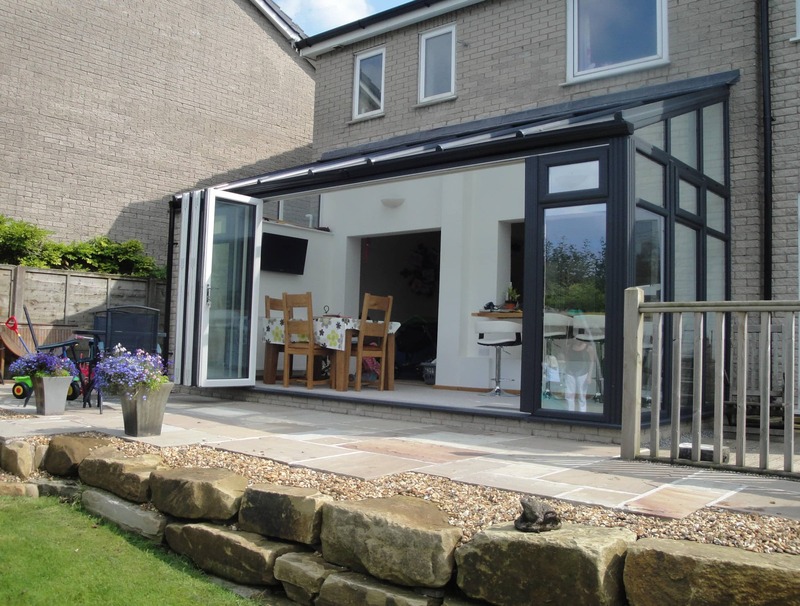 The lean-to conservatory is one of our most popular because they are so versatile and stylish. These beautiful conservatories can make the most of almost any space, even ultra-narrow gaps at the side of your home, or where you have low eaves. These conservatories are great value for money and they can be used for countless purposes – create a new utility room, a sunroom or a dining area. Lean-to conservatories are simply impressive, offering a great addition to your home. Our Victorian conservatories in Sonning Common are fantastic, and are highly sought after as a charming home improvement. They have a beautiful intricate finish, which adds character and enhances the charm of your property. The three or five-faceted shape is perfect for enjoying the views of your garden and makes a great sunroom or living area. These traditional conservatories are simply lovely, giving you a bright and airy living space which will really enhance your home. Edwardian conservatories are a superb choice, combining practicality and elegance in one structure. They have a minimalist style, which offers a fresh, clean look and ties in well with any architecture. The square or rectangular shape is brilliant for any function, letting you fill the room with furniture – ideal for a home office, a living room, a dining room or even playroom. There is so much versatility with the Edwardian conservatory, it’s the ideal solution for creating additional space in your Sonning Common home. If you like the shape of the Edwardian conservatory and the functionality that offers, yet you want a more eye-catching finish, then our gable end conservatories are a brilliant choice. Based on the right-angled Edwardian structure, they are then enhanced by an impressive gable roof which reaches up creating a stunning visual impact by allowing natural sunlight to flood in. There is so much grandeur with this conservatory design, and it really will transform your home to stand out from the crowd. Of course, not every homeowner needs a standard conservatory design, some properties have space for a p-shaped or t-shaped conservatory, and some homeowners need a completely unique creation. Our bespoke conservatories are designed just for you by our experts, taking into account your every requirement, and ensuring you can make the most of the space you have available. You can create your dream conservatory, featuring every aspect you ever wanted with our bespoke conservatories. Orangeries are a great way to extend your Sonning Common home, giving you additional living space that offers many of the qualities of brick built extensions combined with the best bits of conservatories. These stunning structures are ideal for more privacy while still maximising the influx of natural light. They are great value for money, far more cost effective than house extensions, and they offer less disruption and stress. These conservatories are efficiently installed, and will transform your property. Glass extensions are an ideal way for you to update the look of your home, without spending a fortune. Our range of glass extensions are ideal for those looking to create a modern space inside their home, increasing the amount of light that enters. With your new extension, you have the freedom to furnish it as you please, making it the perfect area for you to relax or exercise in. The materials used ensures you are getting a unique glass extension, guaranteed to make sure you are protected against all weather conditions. Working with a team of highly-skilled market-leaders, we are able to provide you with exceptional house extensions for your Sonning Common home improvement needs. If you are looking to increase the amount of light that enters your home, whilst maintaining a high level of privacy, our house extensions are ideal for you. We work with market-leading companies to provide you with the best, which is why our house extensions feature a multipoint locking system that is ideal for keeping you and your loved ones safe. Solid roof conservatories carry a common misconception that they deter light from entering. However, with our solid roof conservatories, this is not the case. With a strong structure and sturdy frame, our solid roof conservatories are ideal for letting in copious amounts of natural light, whilst creating a beautiful, bright space for you and your loved ones to enjoy. Solid roof conservatories are ideal for those looking to refurbish their existing conservatory roof, making their home look newly renovated without the fuss. Is your home more traditional that most? Do you have a conservatory that is looking out of place with the aesthetics of your home? At Abbey Conservatories, we have the perfect solution for you. Our tiled roof conservatories are ideal for those with a more traditional home, wanting to keep the aesthetic alive. The range is fully customisable, which means you have a variety of colours and finishes to choose from, as well as having the option of including a roof lantern. Keep your home warm and comfortable with our conservatory roofs. Our conservatories are designed to meet your individual tastes, and there is a range of options on offer to customise your new installation. Choose the perfect doors, window styles and finish to reflect your personality and complement your home. There are also a variety of conservatory roofs available to finish your conservatory exactly the way you want it. Have confidence in the long lasting performance and style of your new conservatory when you choose Abbey Conservatories in Sonning Common. We are accredited by the Double Glazing Network, meaning our conservatories are crafted from the very best products and they are expertly installed, achieving impressive quality standards. With our insurance-backed installations, and our accreditations, you can be sure that when you choose Abbey Conservatories, you will benefit from the very best conservatory installation possible. Your home improvements could be more cost effective than you might think, with the great conservatory prices we offer is Sonning Common. Find out our replacement, refurbishment and new conservatory costs with our online quoting engine, which will give you inspiration and a personalised guide price. 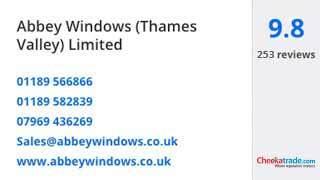 You can also contact us For more information and help with choosing the ideal conservatory for your Sonning Common home improvements.